Lumos Networks is a telecommunications service provider in the Mid-Atlantic region. We provide leading-edge data, broadband, voice and IP services to carrier, business and residential customers over a dense 5,800 route-mile fiber network. We follow a strategy of being first to our regional markets with technology and services first introduced in metropolitan areas by national service providers. Lumos Networks serves Virginia, West Virginia, and portions of Maryland, Pennsylvania, Kentucky, and Ohio.Our product offerings include high-speed transport, wavelengths and Metro Ethernet. We use an on-network service strategy that ensures redundancy and reliability. High-quality SONET, IP and Ethernet network architectures satisfy the most complex communication needs. Our diversified portfolio is attractive to carriers with needs for transport and fiber to the cell site, and to regional enterprise customers seeking high-quality data and IP services and interconnection to data centers.Detailed information about Lumos Networks is available at http://www.lumosnetworks.com. Save the date for ValleyTechCon19. More details soon to come! 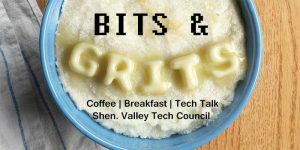 The Shenandoah Valley Technology Council (SVTC) is a non-profit membership organization serving the greater Shenandoah Valley of Virginia. Its members are creators and users of technology who gather together for education, networking and business development. By helping technology businesses in the area succeed and grow, the Shenandoah Valley Technology Council is an integral component of the region, helping to bring high-paying technology jobs to the Valley.